Heinz “Pietzsch” Bretnütz was born on 24 January 1914 at Mannheim. From autumn 1938 until March 1939, Leutnant Bretnütz served with 2. J 88 in Spain. He gained two victories in the Spanish Civil War to record J 88’s 266th and 278th victories. On 6 June 1939, Bretnütz was awarded the Spanienkreuz in Gold mit Schwertern. On his return to Germany, Bretnütz was posted to 6./JG 53. He claimed his first victory of World War 2 on 25 September 1939, when he shot down a French Curtiss Hawk fighter near Bienwald. On 31 March 1940, he shot down two French Morane fighters near Saargemünd to record his fourth and fifth victories. Bretnütz was appointed Staffelkapitän of 6./JG 53 on 24 June 1940. During the Battle of Britain, he was to become one of the most successful German fighter pilots. On 20 October, he shot down a RAF Hurricane fighter to record his 20th victory in World War 2 but received damage to his Bf 109 E-1 (W.Nr. 4112) “Black <<” necessitating an emergency landing at St Inglevert in France.  Hauptmann Bretnütz was awarded the Ritterkreuz on 22 October for 20 aerial victories and 12 balloons shot down. On 10 October 1940, Bretnütz was appointed Gruppenkommandeur of II./JG 53. He recorded his 30th victory of World War 2 on 3 May 1941. 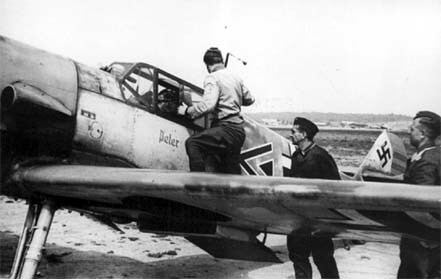 Bretnütz led II./JG 53 during the invasion of Russia. He had 34 victories to his credit at this time. Bf 109 F-2 (W.Nr. 6674) "Chevron Triangle" flown by Hptm. Heinz Bretnütz, Gruppenkommandeur of II./JG 53. Note telescopic sight ZFR-4 in the windscreen and monogram "Peter" beneath the cockpit. France, spring 1941. On 22 June 1941, Bretnütz shot down a Russian SB-2 twin-engine bomber. His Bf 109 F-2 (W.Nr. 6674) “Chevron Triangle” was hit in the engagement however, necessitating an emergency landing in the area of the front lines between Erzvilkas and Nemaksciai. Badly wounded, he was rescued by farmers who hid him from retreating Russian troops. He was finally handed over to advancing German troops on 26 June. Hospitalised, he had his left leg amputated but died of complications from the operation on 27 June. 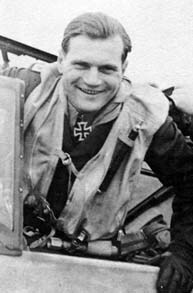 “Pietzsch” Bretnütz was credited with 35 victories in 244 missions. He recorded 2 victories during the Spanish Civil War and one over the Eastern front. Additionally, he claimed 12 balloons shot down.